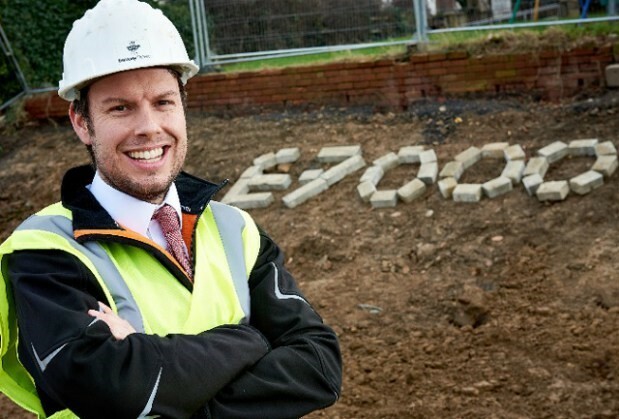 Yorkshire housebuilders have broken ground on a development of 52 family homes being brought to life between Leeds and Bradford. The start of construction work on the £15m development in a semi-rural location near Pudsey – known as Woodall View – heralds the start of the most ambitious project to date launched by Berkeley DeVeer. No fewer than 15 of the 22 homes being built as part of the first phase have already been reserved, ahead of a ready-to-move date on schedule for the Spring/Summer 2019. To mark the milestone, Berkeley DeVeer has pledged once again to support Pudsey Bear and this year’s BBC Children in Need Appeal by donating £1,000 to the charity for every new reservation made between now and Christmas. Last year, the developers from Walton, near Wetherby, handed over £7,000 thanks to a similar initiative. Its managing director, Daniel Newett, said: “This is a great project for showcasing the housebuilding and design skills of our own team, as well as the growing army of local contractors and suppliers which also plays a key role. “We are all delighted to have broken ground on site, and now our focus is to bring our plans to reality. “Pudsey Bear is synonymous with the area, putting the town on the worldwide map, and lays claim to being the local community’s most famous resident. “So it seems fitting that our programme of support for charities and good causes, especially those helping young people, should again centre on Pudsey Bear and this year’s Children in Need Appeal tomorrow. “Woodhall View features a collection of carefully-designed family homes with a choice of three, four or five bedrooms. Prices for properties still available as part of the inaugural phase range from £263,995 to £490,000. “All are available with support from the Government’s Help-to-Buy initiative, which has already helped more than 6,500 people in West Yorkshire get on, or up, the property ladder – making the county among the top five hotspots for take-up in the UK. “We are thrilled to have already secured reservations on almost three-quarters of homes before building work had even begun on site – an endorsement of our approach that ensures all our homes are created to the highest quality inside and out,” added Daniel.